HELP RANDY SAVING THE RESIDENTS OF THE FOREST! Experience a great, endless adventure with Randy the rat. Discover three spectacular worlds and pass over 100 tricky missions. Defeat nasty enemies and help Randy, rescuing his friends from the bad snake-magician. 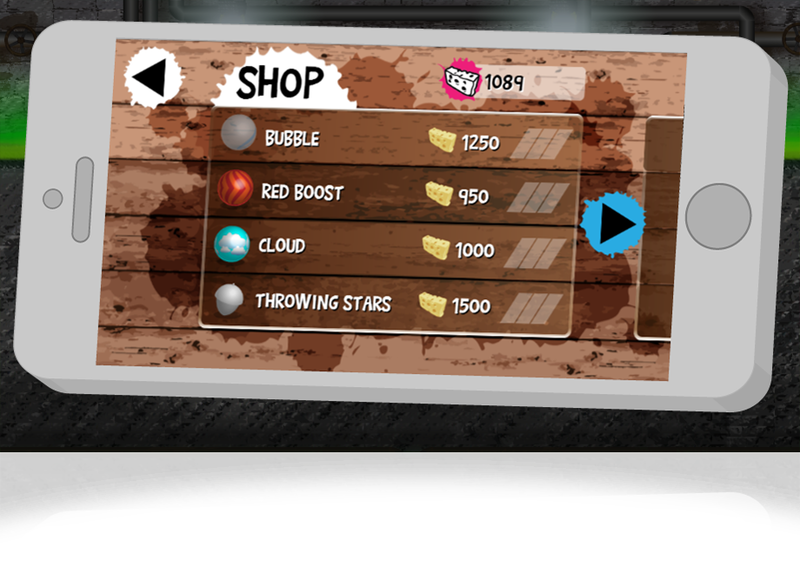 Buy new, helpful items with collected cheese and upgrade them to the maximum level. 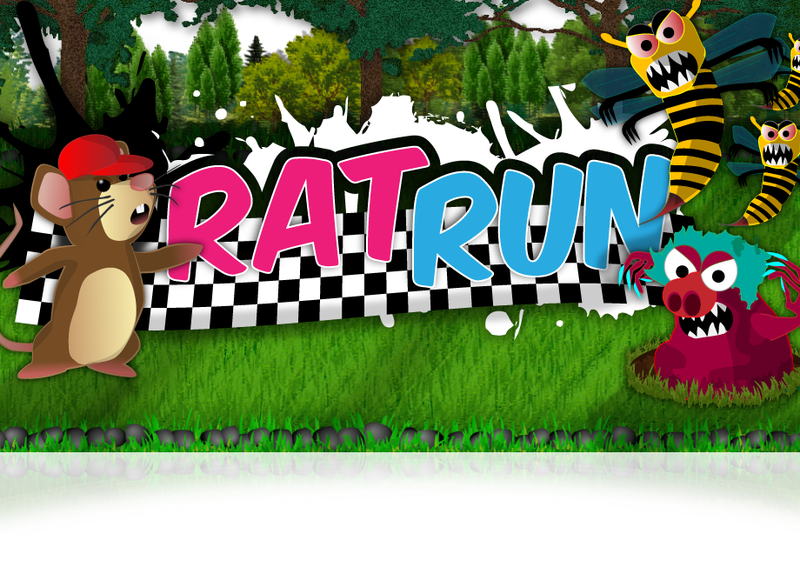 RatRun is an endless-runner smartphone game, developed with HTML5 canvas. Run through 3 beautiful worlds and solve over 100 missions. RatRun provides a unique and wonderful environment in three different worlds. 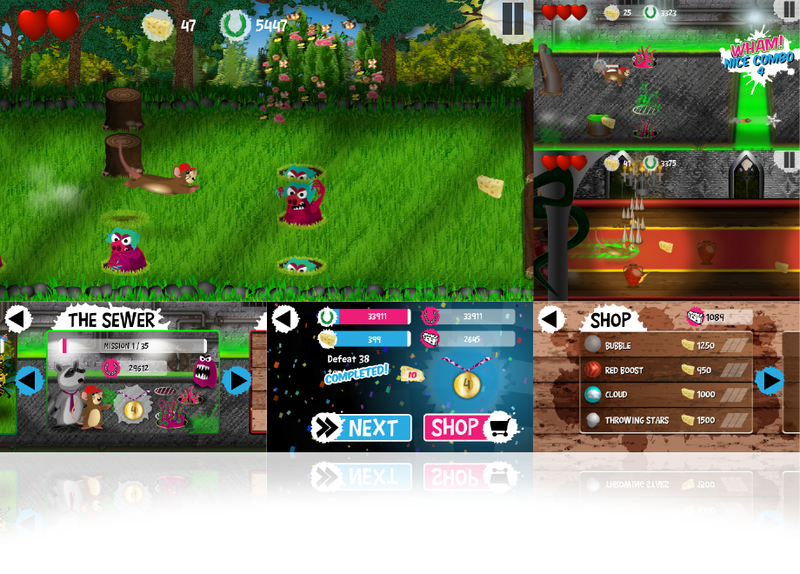 Take a look inside the game and get a first impression of what it looks like. There are many useful items you can buy and collect in RatRun. What they are all good for (and a lot of other "good to knows"), you can read after in our guide.